Crawfords Beach Lodge is an ideal Wild Coast holiday destination the whole family will enjoy. With so much on offer, your little ones will be spoiled for choice on how to spend their days, and moms and dads can relax knowing the kids are being well looked after by our friendly staff. The jungle gym and trampoline is conveniently located between the beach and the swimming pool and is a popular and safe area for kids of all ages to enjoy. Your little ones can swing, jump, climb and slide to their heart’s content. 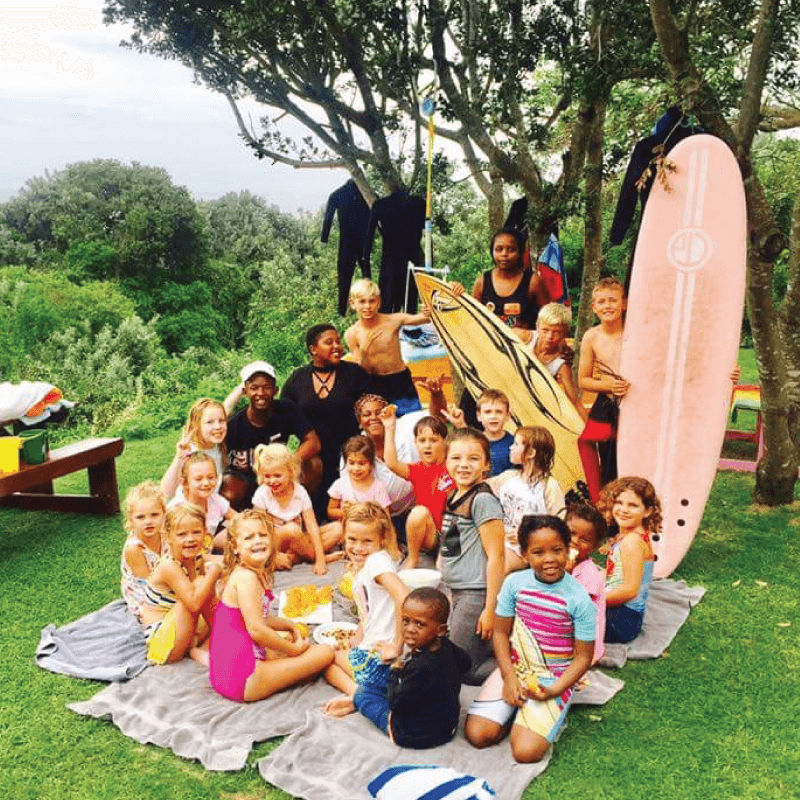 Enjoy family time in the evenings with a wide variety of popular board games, while some Wild Coast beach cricket during the day will work up a healthy appetite. If the Wild Coast weather makes outdoor fun difficult you won’t have to deal with grumpy youngsters. There’s more than enough to keep them entertained in our splendid games room. For those young ones who are a little intimidated by the ocean waves, our supervised kiddies pool may be just the ticket. The quiet waters of our lagoon are also safe for playing in and swimming. During the school holidays, we offer a holiday club. Kids will enjoy activities such as beach games, treasure hunts, sand boarding, face painting, crafts and much more.